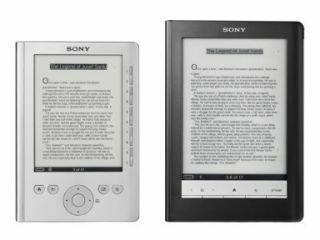 Sony is in the enviable position of struggling to keep up with the pre-orders and soaring demand for its ebook Reader this Christmas holiday season. The company most recently launched a pink 'Mills and Boon' pocket edition of its popular ebook, which looks set to be one of the biggest Xmas pressie categories this year. As the latest (and best) version of the device to date – the Sony Reader Daily Edition – becomes available for pre-order in the US this week at a price of $399 – the company is struggling to ensure that everybody that wants a Reader can get one in before Christmas. Sony has put the pre-order up on its US SonyStyle website hoping to ship it out to US customers from the 18 December. The Daily Edition features a 7-inch screen and full 3G connectivity for downloading books. Sony spokesman Kyle Austin said the $399 Daily Edition, which is also ideally designed for newspaper viewing, would be delivered to its customers on a "first come, first serve basis." "The number of people that signed up ... to be notified of the Daily's availability exceeded our expectations over the last few months and we expect high demand now that it's available." No word as yet on a UK launch for the Sony Reader Daily Edition, but we can safely say that it is going to be 'some time' later in 2010. You can read our full and frank review of the Sony Reader Pocket Edition right here.